The latest magazine scans have announced 2 more Tamashii Nations exclusive figures set to release this November, 2014. These are the S.H. 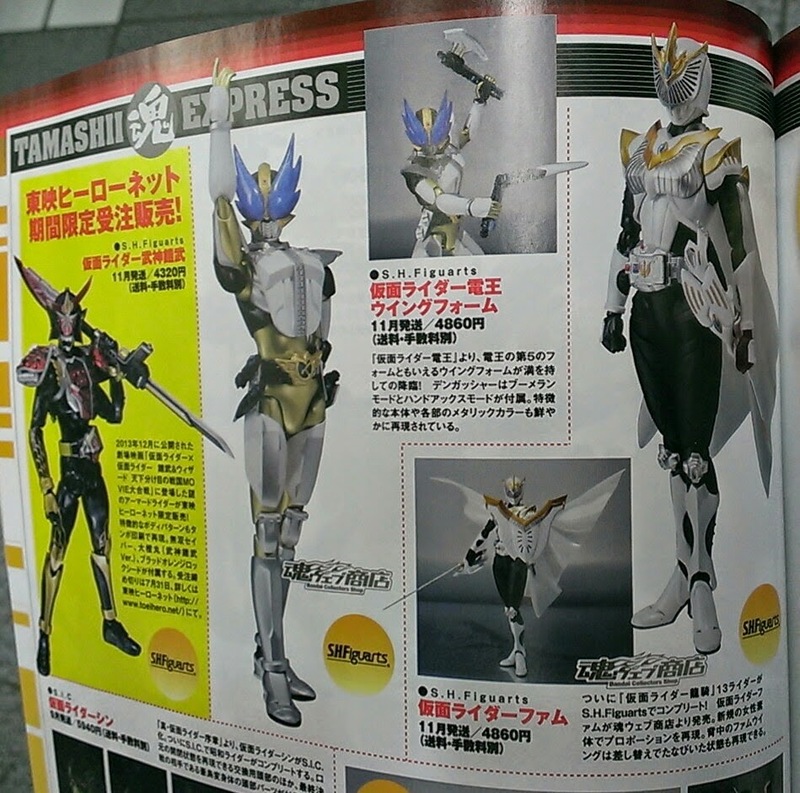 Figuarts Kamen Rider Femme and Kamen Rider Den-O Wing Form. S.H. Figuarts Kamen Rider Femme (or Siren in Dragon Knight) represents the rider form of Miho Kirishima in the tokusatsu production Kamen Rider Ryuki. She is one of the 13 Kamen Riders that made a brief cameo in the TV Special 13 Riders, and appeared in the movie Episode: Final. It seems that there will be no contract monsters included but she will come with her armaments called the Wing Slasher, Wing Shield, Advent Cards and wrist replacements. Price is about 4860 yen. Next is Kamen Rider Den-O Wing Form. The figure, aside from the usual hand replacements will include the DenGasher in boomerang and handaxe more. Price is about 4860 yen.